DfromCT wrote: Update: Zachary seems to be coming through this latest round of Chemo fairly well. His spirits, and more importantly, appetite, are still strong. I can only hope he gains another pound or two, as I've been so scared with his weight so down, that we might lose him to something other than the leukemia. Thanks again for your thoughts and prayers. This is the hardest test I've faced, and it doesn't seem to be getting easier. Great news! He is still in my thoughts and prayers. May God bless him and may he keep improving. After my diatribe in the Tulane vs. UConn (WBB) thread, I thought I should give an update. Zach has been in remission since September. Last Friday he had a spinal tap, which marked the end of his second cycle of "maintenance I", and the first day of his third cycle. These are 58 day cycles, and there's 5 in total before he gets to "mainenance II". We don't get any word on the results of the spinal taps, which is fine, as there should be absolutely nothing to see cancer wise. If they see anything it would be really bad news. It's not easy to continue to go through the chemo treatments, as he's doing today, knowing that he has no measurable leukemia at this time. But the doctors know that his particular mutation of leukemia can hide with so few cells that they have to be sure there's absolutely nothing there. He takes it well and I feel in my heart that he knows we're doing this to help him get better. He's a very special little boy, who has a smile that could light up Devlin even if we were getting a UConn type beat down. If anyone knows how to upload a photo (rather than a link to one!) I'd be happy to post one here. Thanks again to everyone whom has donated, said a prayer, or just given a little dance to the Gods in Zach's honor. Happy Lundi Gras and Mardi Gras to all. DfromCT wrote: After my diatribe in the Tulane vs. UConn (WBB) thread, I thought I should give an update. Thanks for the update. Glad things are going in the right direction. ---Prayers from Cajun Country!!! nGod bless all of you!!! My Family's thoughts, Prayers and 'Positive Vibes' ( howz dat for some '60's krap) and no 'negative waves' sent your way !!!! !...and no matta what many think I do remember a few years of '60's...or is it a few days and hours ?!?!?!? Keep fighting on! Good Luck David! Thoughts are with you and your son. I look forward to meeting you one day at a game and introducing your kid to mine. We all hope the trajectory continues in the same direction and look forward to reports in 15 years that your son is the first 5 star recruit for Tulane (soccer). Cheers. I thought I would give an update, as it's been months since I did so. Zachary continues to enjoy remission, and we're on the verge of wrapping up his last cycle of Maintenance 1. It's been a bit delayed due to his counts being mysteriously low. As it turns out, he's having an issue with the port they put in to facilitate his chemo infusions. Could be the start of a clot. So now he's on blood thinners, which requires a shot twice daily. At some point in the near future he'll need a surgical procedure to take the port out, followed a month later by another one to implant a new port. It's done right above his heart, so it's not minor surgery. The good news is that Maintenance 2 will be much less intrusive than the regimen we're wrapping up right now. The shots are not pleasant at all, and the confusion and contradictory information we get from different members of the leukemia team have taken a toll on the whole family. Zach takes it in stride for the most part, until it's time for the next shot. The lessons I've learned from Zachary and from dealing with this whole ordeal are having a profound impact on who I am and what I value. Thank you all for your thoughts and prayers. 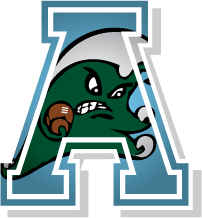 Although I'm not happy with the state of Tulane and the state of Tulane Athletics, I will always be proud to be a Tulane alum. Sounds like great news. Prayers going your way. Glad to hear it, D. Prayers sent. Best wishes. Thanks for the updates. I will continue praying for Zach daily. I will continue praying for you and your family. Stay strong. Thanks to all for the thoughts, prayers and support. It really does mean a whole lot to me and my family. Forever TU, I'm sure you're going to be successful in your future endeavors, you have people skills that will take you a long way. Two years ago tonight (well, it was Friday night of Memorial Day Weekend) we brought Zach to the pediatrician for what seemed to be a cold that wasn't going away. Two years later, I'm happy to report that the end of his treatment is almost here. He'll even have his port (chemo) removed in the middle of June, and we're going on a Make-a-Wish trip to a lake resort in the Poconos (PA) the week of July 4th. It's been a long, very difficult and emotional road. Zach is cancer free. If he can stay in remission through September of 2019, they'll consider him cured. He's still catching up with his physical development, particularly with his coordination which was greatly affected by all the medications. He's also developing a very nice personality, for the most part a happy-go-lucky type of boy. He and his twin brother Teddy play and fight endlessly, as boys are apt to do. I have to thank all in this community that have supported me through the whole ordeal. They say parents of children with cancer suffer from PTSD, I might be living proof!!! Your thoughts and prayers have truly been felt and appreciated. I pray that God's got a big plan for Zachary here in this lifetime. I have learned so much from him, and couldn't be prouder that my soon to be 4 year old is emerging from this nightmare with the same beautiful smile that he had before it all started. If I knew how to put a picture I would, he's one damned cute little boy (as is his brother Teddy!) Must come from their mother. I am so glad Zach is cancer free! Thank God! Good luck and God Bless to you and your family.